Our mortuary care is second to none. We are completely open to all our customers, guiding them through the arranging process and informing them of costs and options involved. So continue with us and let us carry out yours and your loved ones wishes. Our phone will be answered 24 hours a day, 7 days a week. Questions to ask your funeral director. 1. Do you have your own Mortuary Facility? 2. Where will my loved one be held? 3. Are you a member of a recognised Association? 4. Do you have a code of conduct? Please complete the form below to get in touch with Burke and Hamilton Funerals. We have for many years been the Market Leader in the Tamworth District. We cater for all religious beliefs and needs. We work with the best funeral celebrants. A diverse music selection tailored to personalise your loved one’s farewell. We cater for large scale transport requirements. We provide a complete range of coffin and casket options. Unique transport options to customise reflect your Loved One’s life interests. We make use of the latest multi-media technologies to cater for any need. Ask us about the diverse range of funeral service options that are available. We utilise best practice sustainability techniques and options. 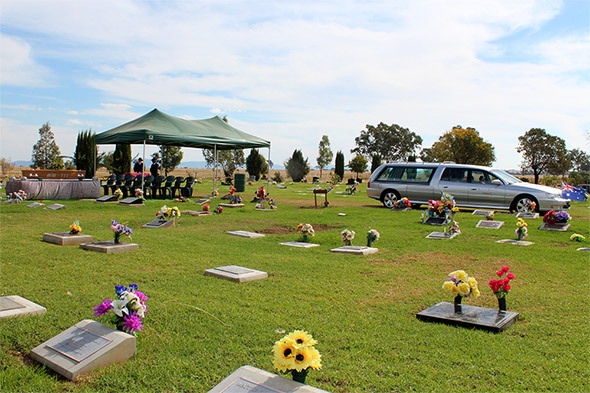 Specialised funeral service options can be used to deliver a wonderful touch.